When the classes visit the library for Student Led Conferences in a few weeks time they will have time to explore the library using the PYP Concepts. Each year level has a suggested PYP concept to explore but of course students can choose what they would like to do in this time. These videos were created using Powtoon (which you are clearly told at the end of each animation). Powtoon might be an excellent tool for Year 6 students and their upcoming Exhibition. The Horizon Report 2012 is out! 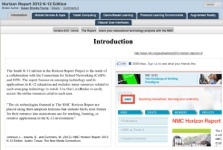 The NMC Horizon Report for 2013 identifies mobile devices & apps and tablet computing as technologies expected to enter mainstream use in the first horizon of one year or less. Then within two to three year we sill be seeing Game-based learning and personal learning environments are seen in the second horizon and then augmented reality and natural user interfaces in four to five years. This livebinder is an excellent resource for teachers to begin to understand the implications of these developments. 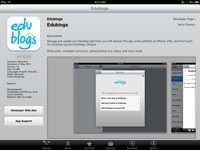 Edublogs has an iPad app! 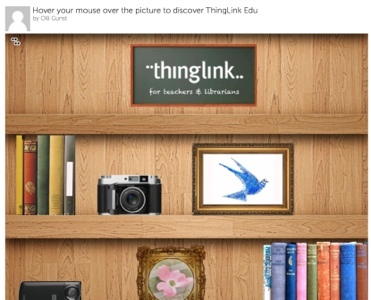 Very excited to see the Edublogs has released an app for the iPad. This very brief post was created using it. Wonderful! Much easier to create on the go!